Unfortunately, people who have celiac disease cannot eat any amount of gluten because it damages the villi in their intestines, necessitating a gluten free diet. Further damage to the body can take place because the lack of nutrients absorbed. This can even lead to death due to malnutrition from eating foods that contain gluten which someone with celiac disease cannot digest properly. Celiac disease requires a gluten free diet. In addition to being gluten free, the Yeast Free Brown Rice Bread and Yeast Free Multi Seed Rice Bread from Food for Life are yeast free. Some people suffering from celiac disease also have intolerance to yeast. These yeast free breads are a lifesaver, literally. Food for life specializes in creating products that are nutritious and made with organic ingredients. No chemicals, preservatives, artificial ingredients, or GMO's (genetically modified organisms) are ever used in Food for Life products. The slow baking process used at Food for Life ensures vitamins and minerals are preserved in the products. 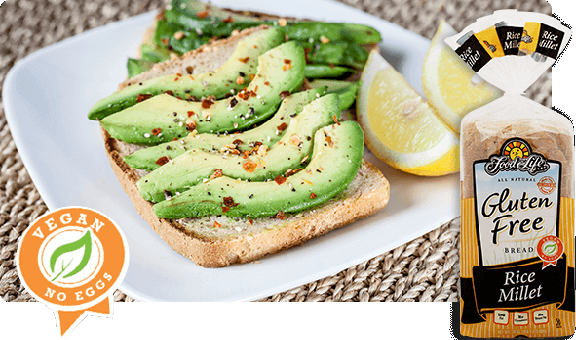 The gluten free products are made without any casein, egg, or dairy products. The gluten free breads, English muffins and tortillas from Food for Life help people feel better while giving gluten intolerant individuals the health benefits they need for a healthy life. Special care and attention is taken to ensure there is never any cross contamination within the Food for Life baking facilities, and each batch is checked to ensure it is gluten free. 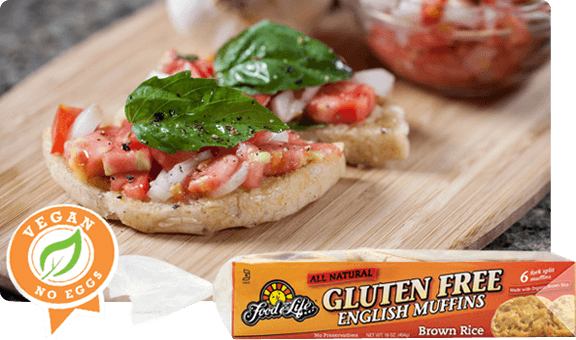 Food for Life gluten free breads, English muffins, and tortillas provide the benefits of gluten free that people with celiac disease need for proper nutrients! Offering even more nutrients, the new sprouted quinoa bread, sprouted millet bread, and hydrated chia seed breads from Food for Life provide fantastic nutrition through the sprouted grain process and are gluten free. Try some today!